Meanwhile, back in the States…. 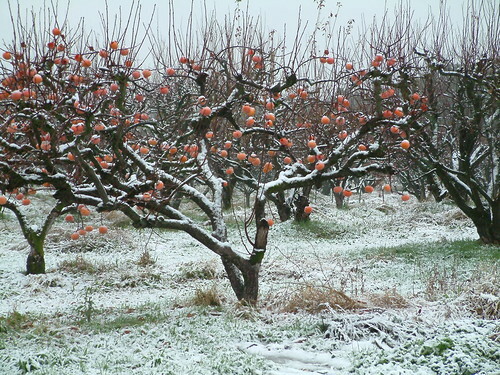 While I was in unseasonably sunny Boston (record highs were achieved the week I flew in) and frozen but un-snowy Toronto for FUDCon, my parents’ orchard in California was getting snow. Naturally it all melted before I got back so I didn’t realize they actually had accumulation until I looked at my wife’s pictures today.